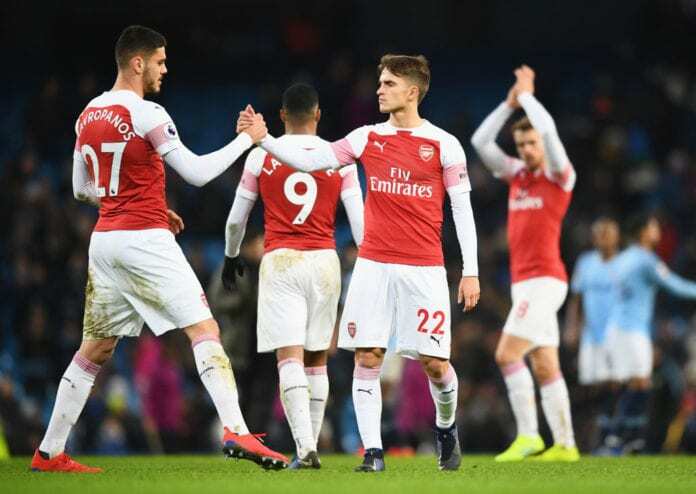 Unai Emery admitted a gulf in class to Manchester City’s quality as his Arsenal lost 3-1 at the Etihad Stadium on Sunday. The defeat left the Gunners in the sixth position after weekend wins for Chelsea and Manchester United left them three points off the top four. Sergio Aguero’s hat-trick made the difference and Emery felt the host deserved the win after imposing their superiority over 90 minutes. In an interview with Sky Sports, he said: “They showed their superiority in 90 minutes. First 45 minutes, we held well for the result, defending together and doing some counter-attack, taking chances to be in the match. “But after 2-1, the second half they showed their superiority. We did not have the chances to get in the box, and the result is clear. The former Sevilla boss has called for calm as the Gunners try to navigate a three-way battle for the Champions League spots. “I think [City] held their level in the 90 minutes, and our level in the second half is worse than the first. “We want to be in the match every time, but the second half and after the goal, our mentality is not in keeping with going to win the match.